There are some things you never knew you always needed until one day they magically appear in your life. That’s how I feel about the Sunday Afternoons kids play hat. My eldest kiddo never gets burned, but I am ashamed to admit my youngest two have had pretty pink cheeks on occasion. This is mostly because my kids do NOT keep hats on. And I’ve always been afraid of hats that feature neck strings, because it’s way too easy to grab a hat off a brother’s head and have the string pull across his neck — a beheading doesn’t sound like a fun day at the beach. When I picked up this hat in a store and realized it solved that problem, I had to buy it. Can it solve the rest of my sun hat issues? Why yes — turns out, it can. 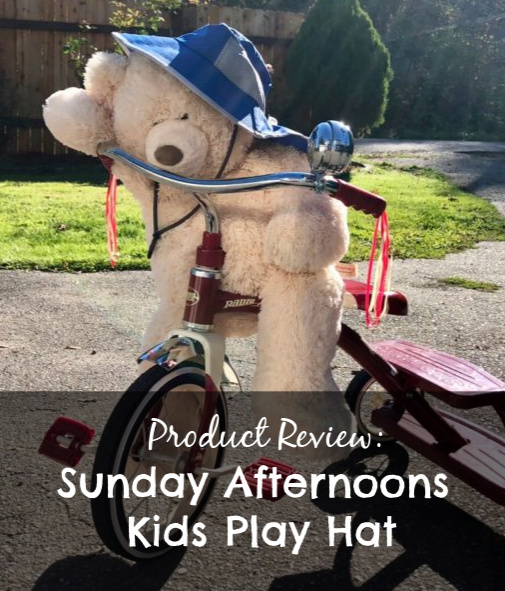 Here are all the requirements I have for kids sun hats…and Sunday Afternoons manages to hit every mark. My kids will lose their hats. It’s kind of a law of nature. But they will be less likely to lose them if the hat has a neck string from which it can hang from their neck when they’re in the shade. It’s a also law of nature, however, that one brother will frequently grab another brother by anything on his body, including a string around his neck. You can see why I might be so concerned about beheading. Also, we have owned hats like this before, so I have some experience in this area. See the magical clasp? In, out, in, out – but never beheading a child. I love that this hat has both an elasticized back and a buckle. It’s fair to say that 90 percent of the time my kids won’t give me the five seconds it takes to tighten the buckle, but at least the elastic will keep it somewhat secure on their little heads. This hat is rated at UPF 50+, which is critical. It is also really well designed in terms of shape. The stiff front brim keeps the sun out of a kid’s eyes without flopping into his line of vision, thus obscuring the view of his carefully crafted sand Death Star and causing him to fling the offensive hat into the ocean. 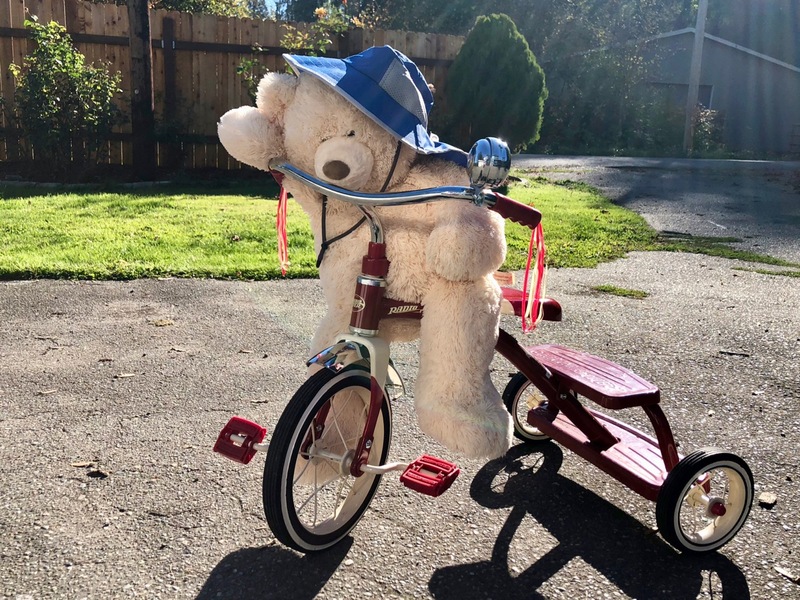 The back of the hat has a softer neck flap, long enough to cover his neck, but not so long it is hanging down in to his shirt, a pet peeve of my more sensitive kids. My kids frequently beg for those cute patterned canvas hats that you see all over the place in the spring. And then they never wear them, because two of my kids turn bright red and sweaty the instant that hot ball of gas we call the sun appears in the sky. 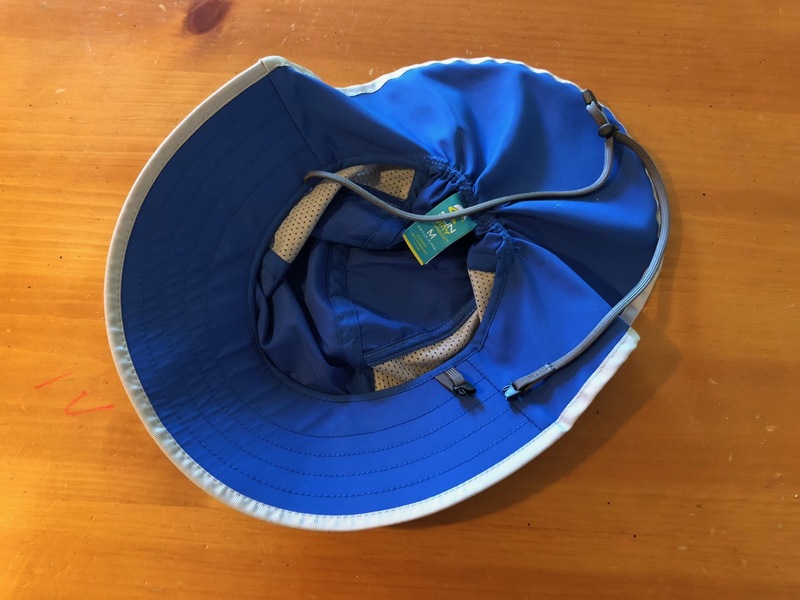 This hat has pretty great side vents for extra cooling, and is made of a quick-dry material thick enough to feel substantial but light enough to be comfortable and quick drying. 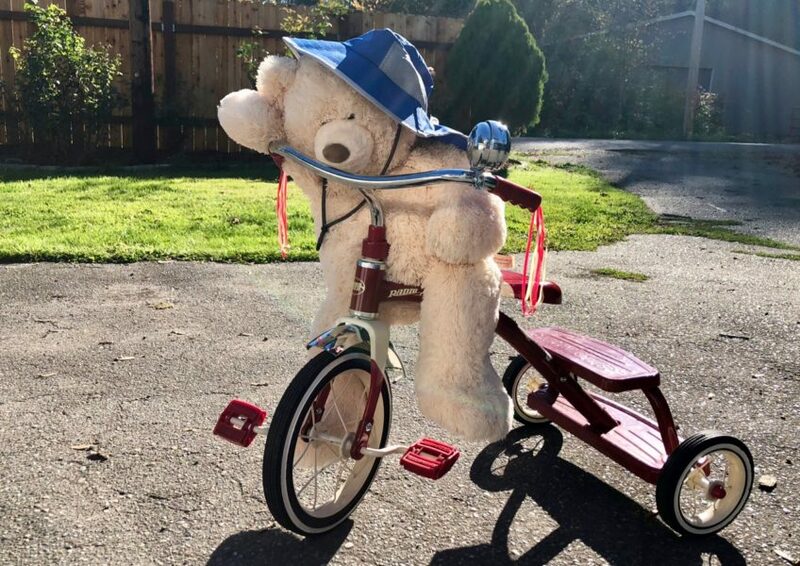 Now, if they could just come up with some magical superglue that I could use to glue the hat to my kids’ heads, and then wash it off at night…it would really be perfect. Anybody come up with that yet? Pretty please? Sunday Afternoons, I’m looking at you!